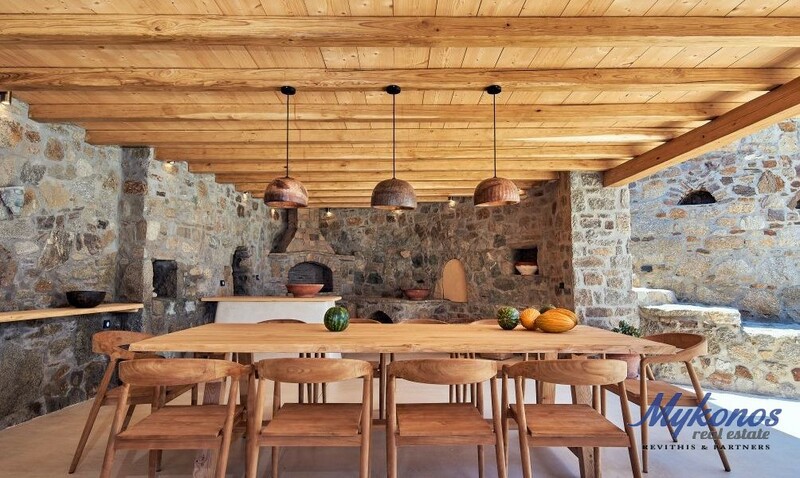 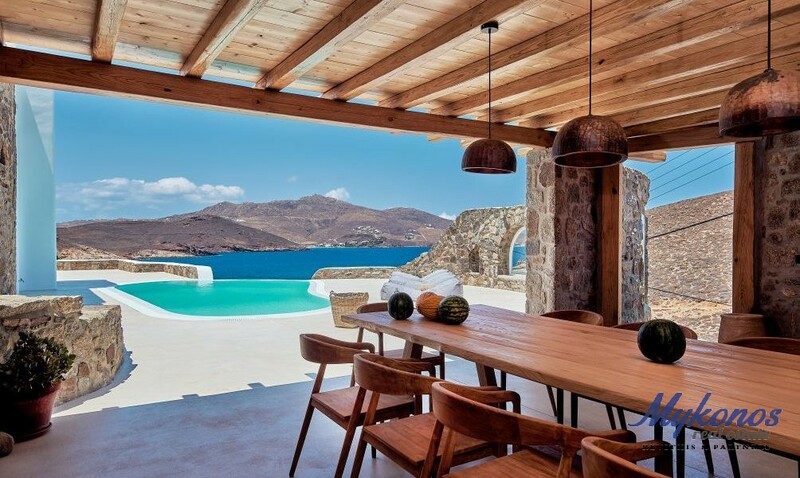 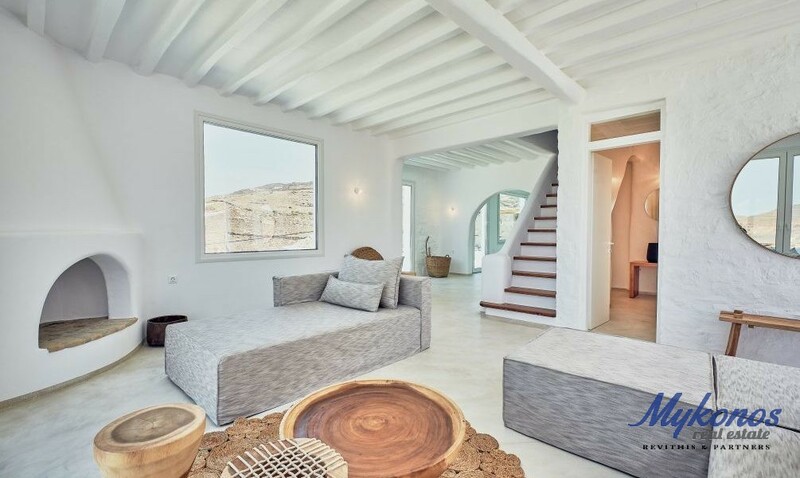 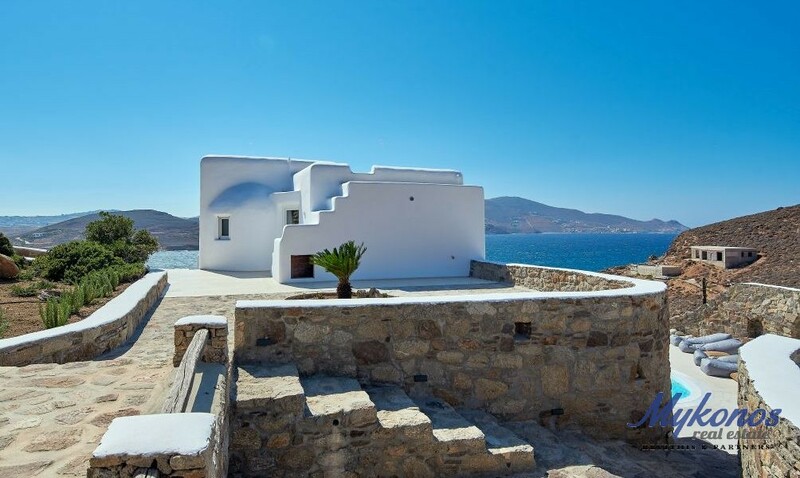 This beautiful Mykonian villa overlooking Ftelia Beach is situated in the Ftelia area of Mykonos. 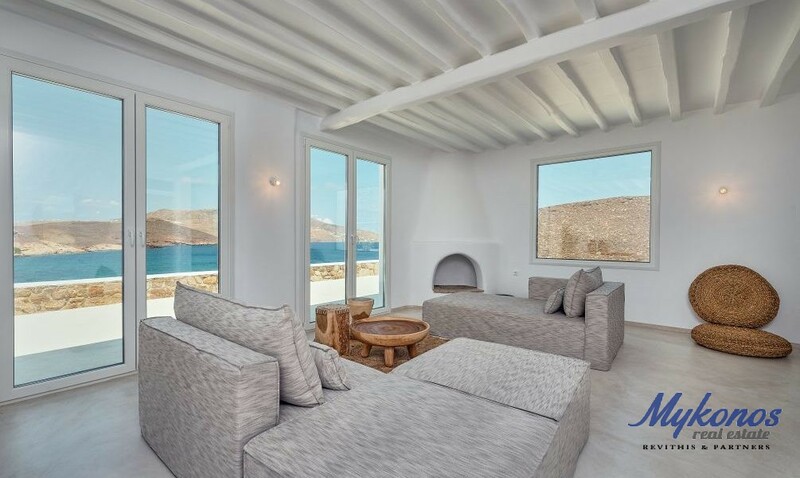 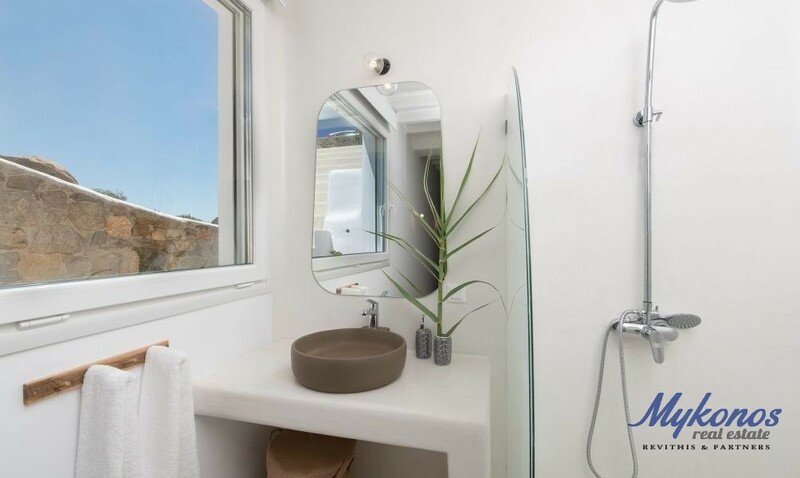 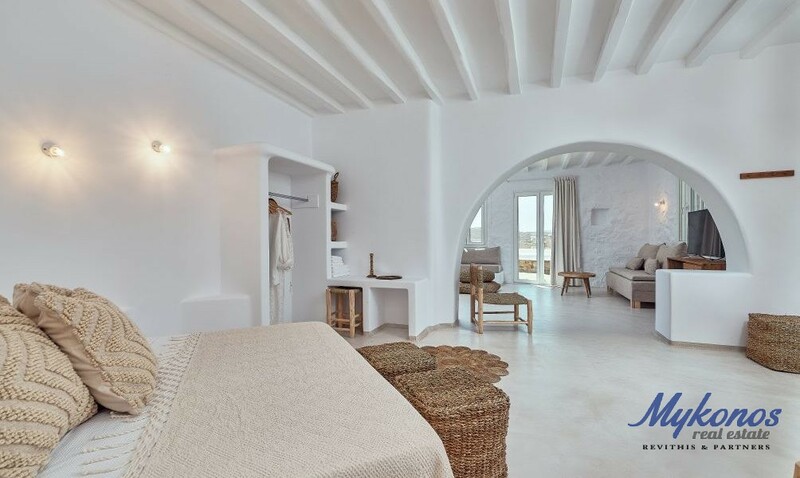 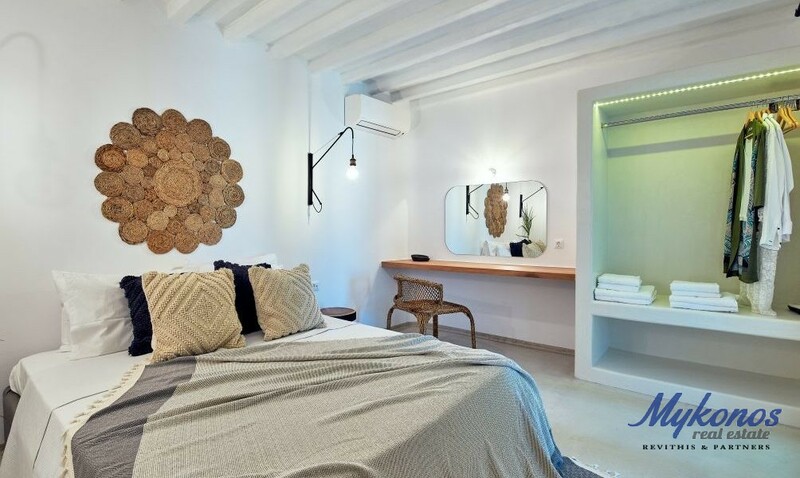 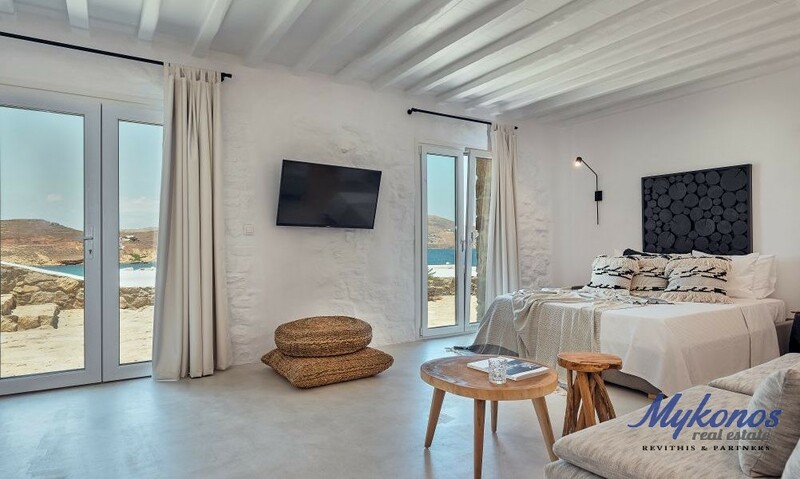 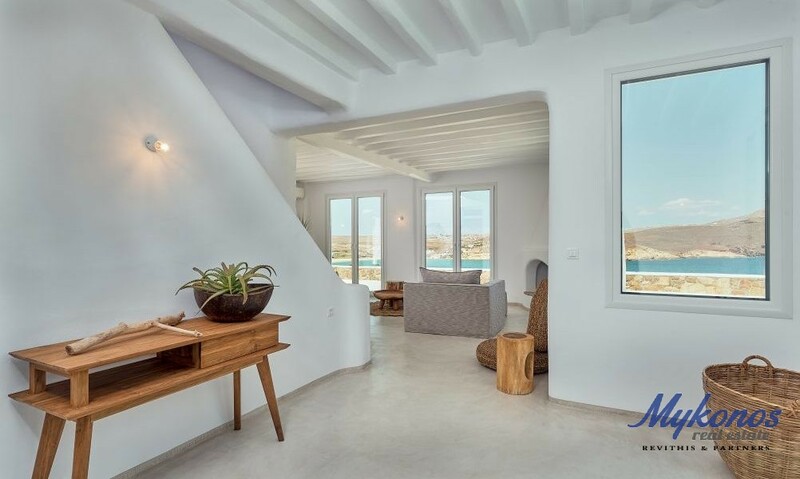 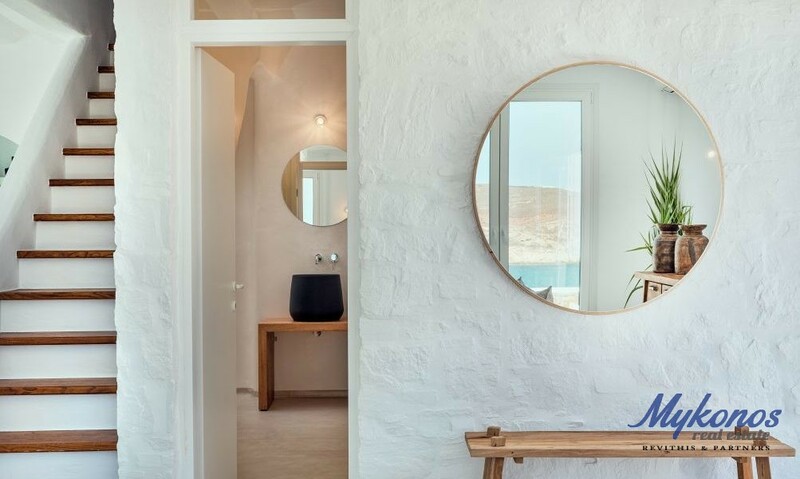 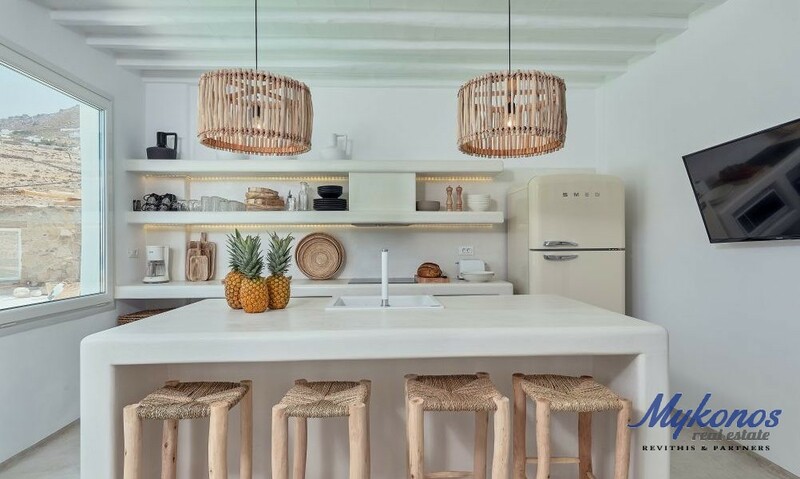 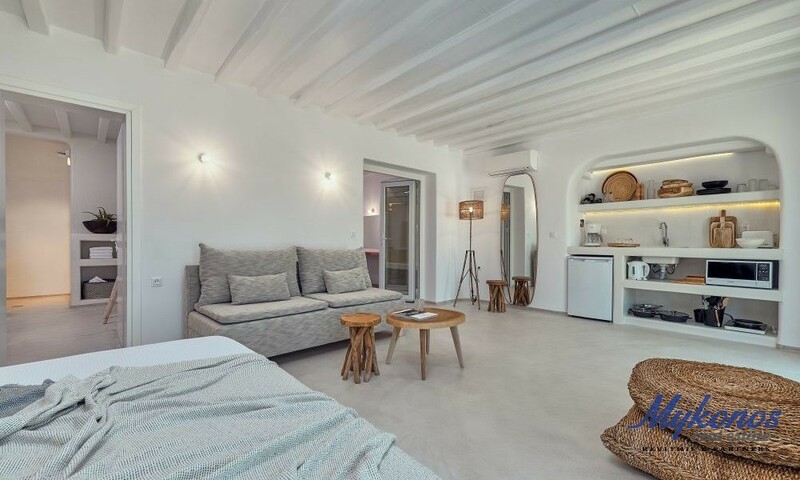 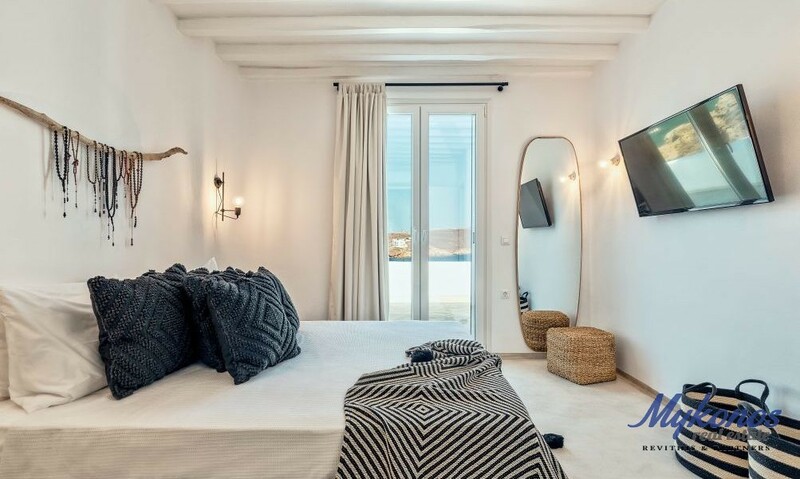 The villa perfectly fits into the untouched Mykonian environment, and offers to its guests an opportunity to find their inner peace while looking at the crystal clear blue Aegean water, and enjoying the panoramic view of the Aegean Sea and Panormos bay. 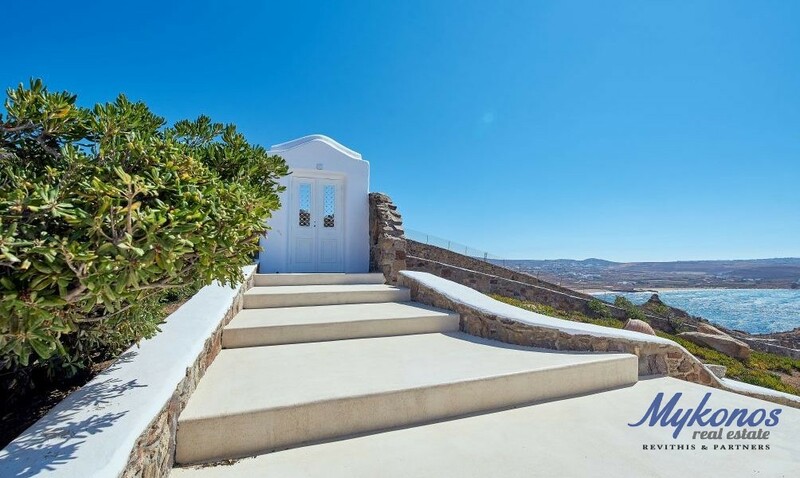 The villa has three levels and is 250sqm. 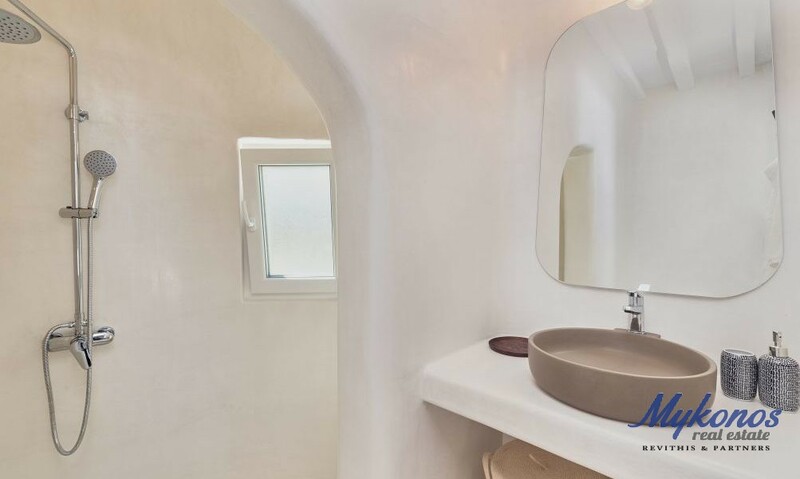 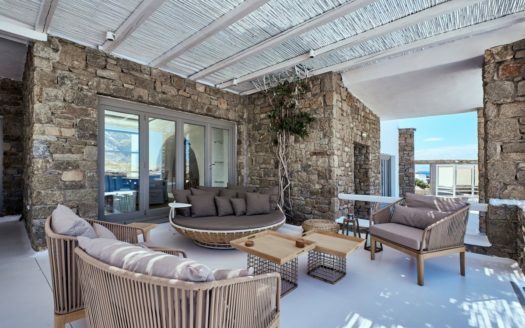 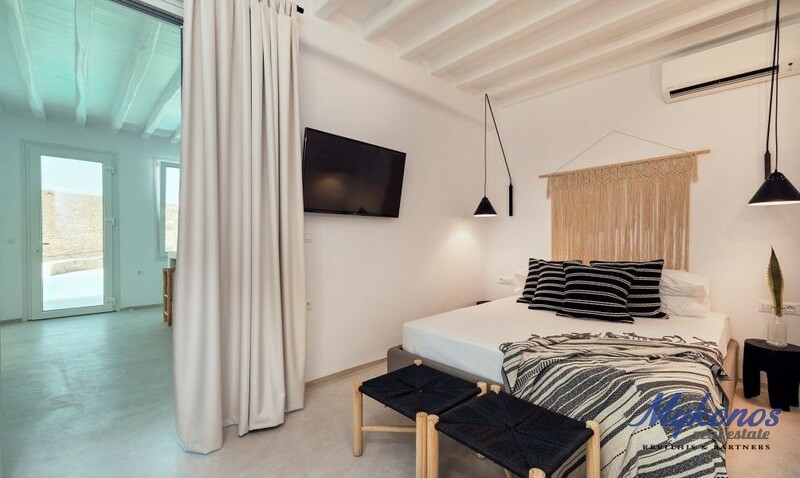 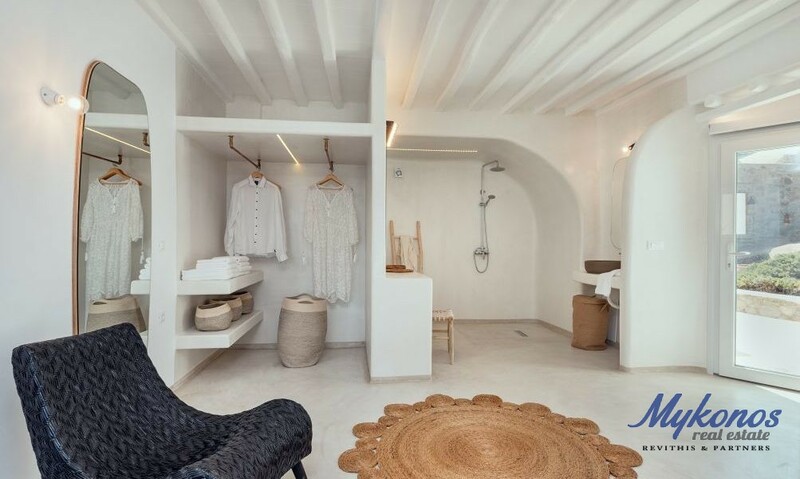 The design of the villa combines traditional Cycladic architecture with modern interior decoration, offering the ultimate of luxury. 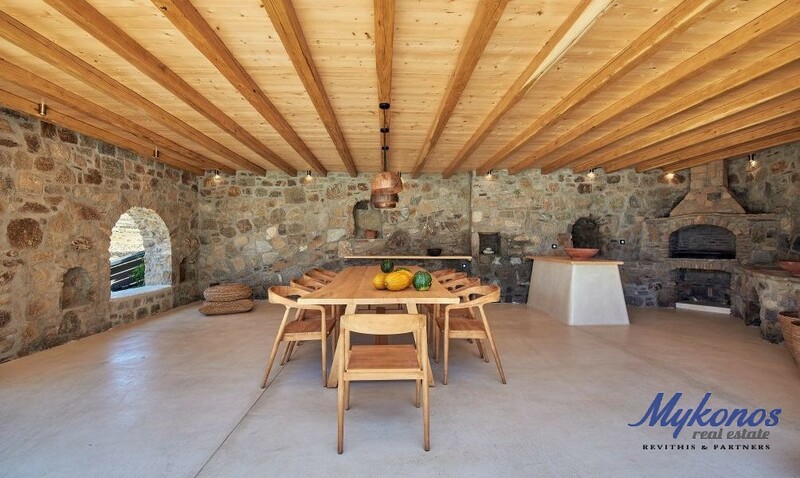 It can accommodate up to ten guests. 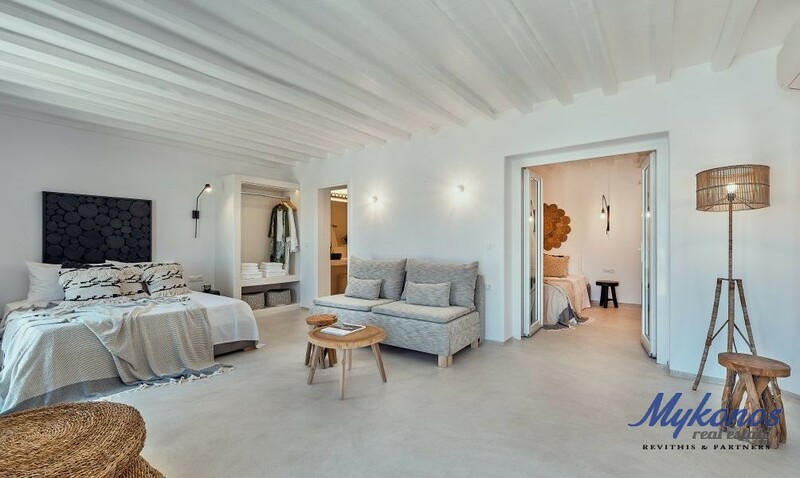 The upper level has two master en suite bedrooms. 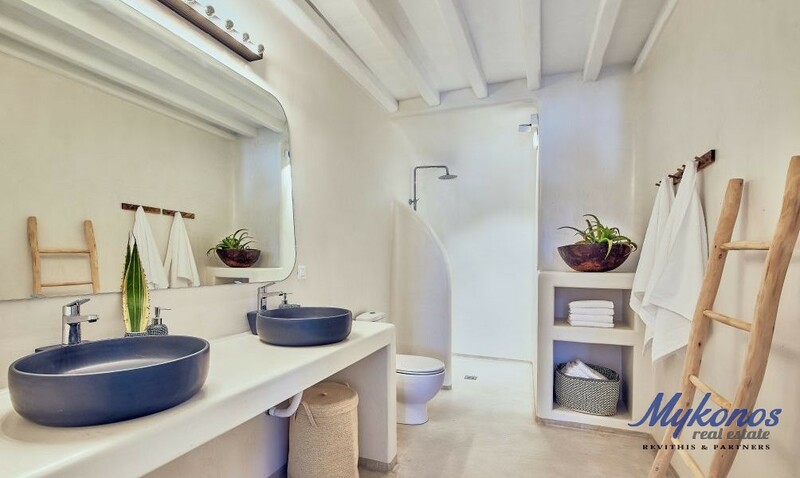 The entrance level has bright living room, dining area, cozy fully equipped kitchen, WC, 1 bedroom with en-suite bathroom. 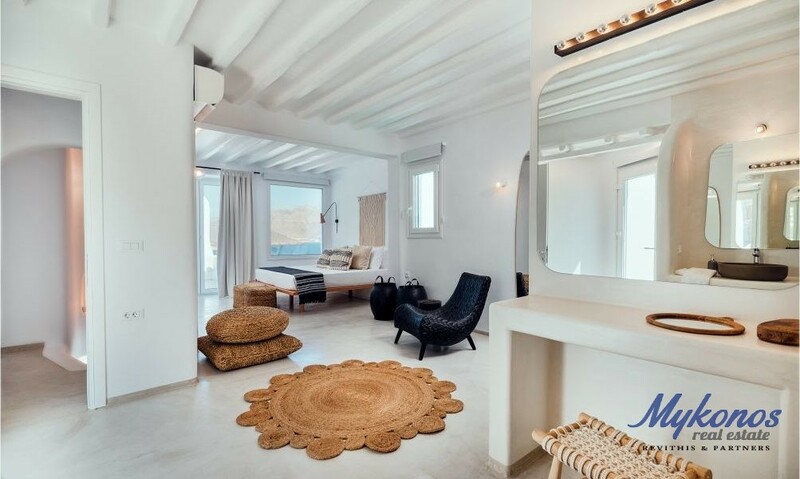 The lower level offers 1 guest suite with double bedroom and 1 guest suite with 2 double beds. 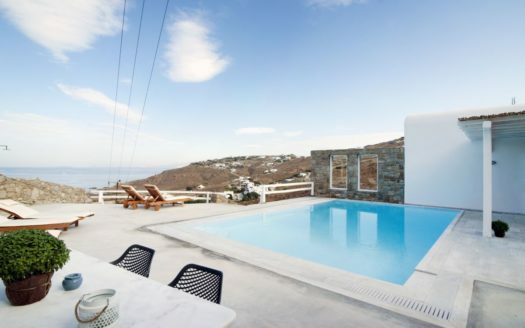 The outdoor area has infinity swimming pool – Jacuzzi, pergola which offers shaded outdoor dining space to enjoy magnificent Mediterranean cuisine, warehouse and parking area.